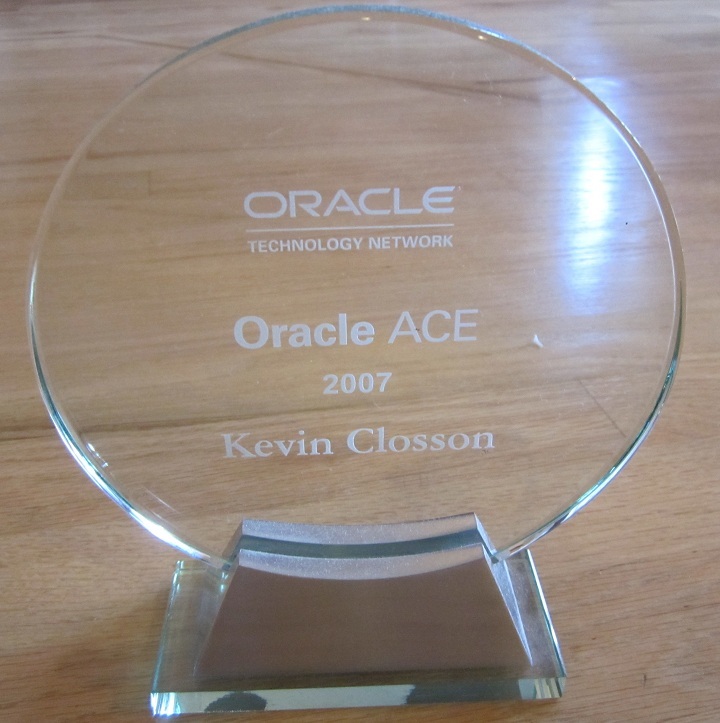 Oracle11g Automatic Memory Management – Part III. A NUMA Issue. Now I’m glad I did that series about Oracle on Linux, The NUMA Angle. In my post about the the difference between NUMA and SUMA and “Cyclops”, I shared a lot of information about the dynamics of Oracle running with all the SGA allocated from one memory bank on a NUMA system. Déjà vu. Well, we’re at it again. As I point out in Part I and Part II of this series, Oracle implements Automatic Memory Management in Oracle Database 11g with memory mapped files in /dev/shm. That got me curious. Since I exclusively install my Oracle bits on NFS mounts, I thought I’d sling my 11g ORACLE_HOME over to a DL385 I have available in my lab setup. Oh boy am I going to miss that lab when I take on my new job September 4th. Sob, sob. See, when you install Oracle on NFS mounts, the installation is portable. I install 32bit Linux ports via 32bit server into an NFS mount and I can take it anywhere. In fact, since the database is on an NFS mount (HP EFS Clustered Gateway NAS) I can take ORACLE_HOME and the database mounts to any system with a RHEL4 OS running-and that includes RHEL4 x86_64 servers even though the ORACLE_HOME is 32bit. That works fine, except 32bit Oracle cannot use libaio on 64bit RHEL4 (unless you invokde everything under the linux32 command environment that is). I don’t care about that since I use either Oracle Disk Manager or, better yet, Oracle11g Direct NFS. Note, running 32bit Oracle on a 64bit Linux OS is not supported for production, but for my case it helps me check certain things out. That brings us back to /dev/shm on AMD Opteron (NUMA) systems. It turns out the only Opteron system I could test 11g AMM on happens to have x86_64 RHEL4 installed-but, again, no matter. What to do? SUMA? Well, it seems as though I should be able to interleave tmpfs memory and use that for /dev/shm-at least according to the tmpfs documentation. And should is the operative word. I have been tweaking for a half hour to get the mpol=interleave mount option (with and without the -o remount technique) to no avail. Bummer! If AMD can’t get the Barcelona and/or Budapest Quad-core off the ground (and into high-quality servers from HP/IBM/DELL/Verari), none of this will matter. Actually, come to think of it, unless Barcelona is really, really fast, you won’t be sticking it into your existing Socket F motherboards because that doubles your Oracle license fee (unless you are on standard edition which is priced on socket count). That leaves AMD Quad-core adopters waiting for HyperTransport 3.0 as a remedy. I blogged all this AMD Barcelona stuff already. Given the NUMA characteristics of /dev/shm, I think I’ll test AMM versus MMM on NUMA, and them test again on SUMA-if I can find the time. If anyone can get /dev/shm mounted with the mpol option, please let me know because, at times, I can be quite a dolt and I’d love this to be one of them. Did I read correctly in your blog that you’re taking a new job? Ah someone that doesn’t speed-read 🙂 Yes, I’ll be taking a performance engineering role in Oracle’s Server Technologies Division.